Provides the building blocks for healthy red blood cell production and helps combat a lack of energy and poor stamina. Powder with a rice hull base and a molasses and apple flavor. 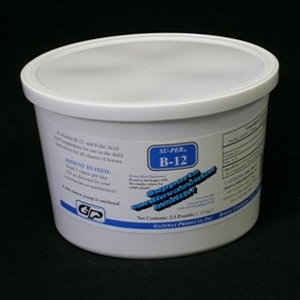 A Vitamin B-12 and Folic Acid feed supplement for use in the daily feed ration for all classes of horses.